Tensions sizzle between Paul and Terese after their almost-kiss. Things get hot and heavy between Chloe and Mel as they spend the night together. 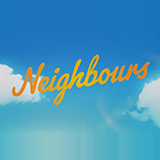 Neighbours was broadcast on Eleven at Thursday 7 February 2019, 19:19.